Adroit Market Research launched a study titled, “Global Dermatology Devices Market Size by Type (Diagnostic Devices – Dermatoscope, Microscope and Imaging Devices; Treatment Devices – Electrosurgery Equipment, Cryotherapy Devices, Microdermabrasion, LED Light Therapy Devices, Liposuction Devices and Lasers); by Region (North America, Europe, Asia Pacific, South America, Middle-East & Africa and Forecast 2018 to 2025”. 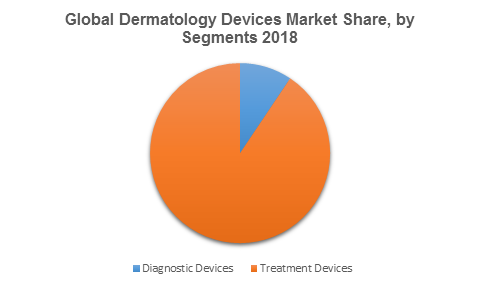 The global dermatology devices market analysis consists of value for a period ranging between 2015 to 2025, where 2015 to 2017 imply the actual annual revenue with forecast between 2018 and 2025. The global dermatology devices report also includes qualitative insights of the market such as drivers, restraints, value chain, regulatory framework and trade statistics. The value chain has been analyzed in detail covering key stages in the supply chain where significant value is added.